The right way to cut the cheese. When it comes to cheese, I’m a bit of a philistine. Sure, I know the difference between brie and Parmesan and I certainly don’t always buy mozzarella pre-grated, but when it comes to the next level of knowledge, I’m no cheese authority—especially when it comes to slicing. If I’m cutting cheese. I tend to use, you know, a knife. But it turns out that grabbing any old paring knife to take down that wedge of Gouda might actually hurt the cheese more than you think. 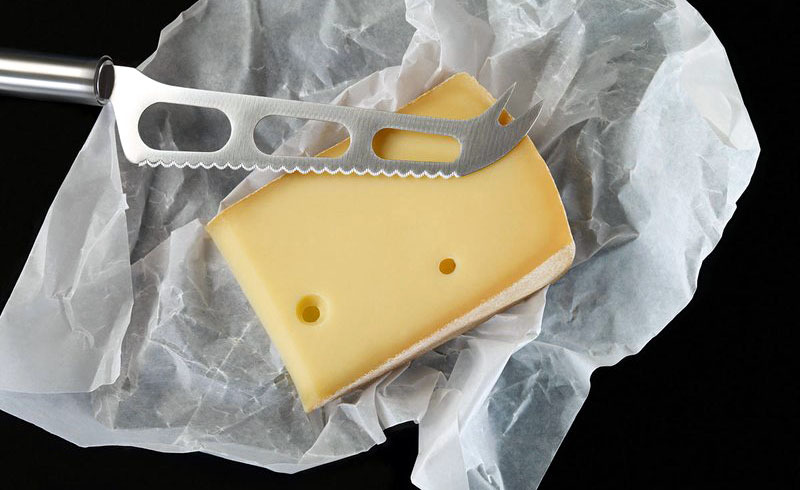 “The essence of using different types of cheese knives is all about keeping the cheese in its original and in a presentable shape after cutting,” Martijn Bos, Owner and CEO of Boska Cheesewares, told me in an email. 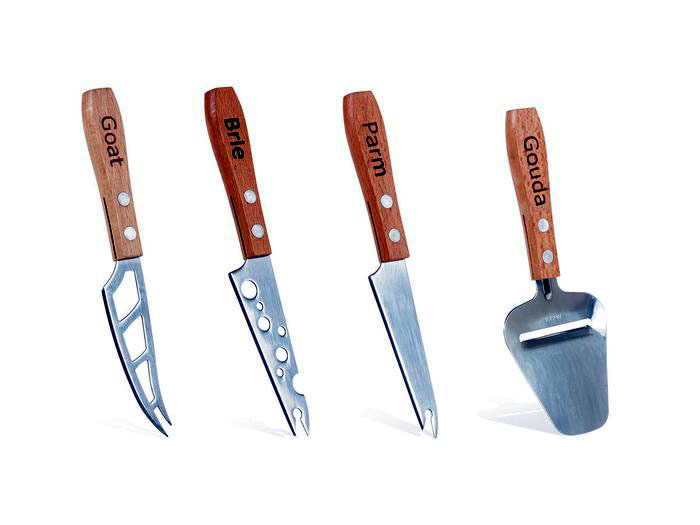 Bos explained that while there are many types of cheese knives, there are four basic knives every cheese-lover should have, especially if they want to truly appreciate the food in the manner it was intended by the cheesemongers. Many of us probably have this flat, yield-sign-shaped tool in a kitchen drawer, though it’s probably at least 10 years old and very dull. Do yourself a favor and buy a new one to slice medium hard cheeses like Gouda, Jarlsberg, Emmental, and Gruyère. “The slicer creates thin slices that exposes the cheese to more air,” says Bos. “Just like wine, the more cheese comes in contact with air, the more flavor you’ll get from it." This knife is for softer cheeses like Gorgonzola or brie. According to Bos, “The holes ensure less contact with the cheese meaning the blade doesn’t stick to the cheese, making it easier to cut and create more presentable pieces.” Bos also added that this knife (and the remaining two basic knives) have a forked tip, which allows you to hand a piece of cheese to someone without actually touching it. Similar to the knife with rounded holes, this knife is very versatile, and can be used with any soft cheese like brie, to semi-hard cheese like cheddar or Monterey Jack. Because it's structually weaker than a full knife, it's not the best choice for very hard cheeses.